Attachment, Communication with Children, Mindfulness, Parenting, Parenting Advice By Daniel Siegel, M.D. In the following interview, Dr. Dan Siegel talks about the different types of attachment styles that individuals develop during childhood as a result of the relationship they had with their parents. Embracing the freedom to see parents as they really are literally liberates the adolescent to find his or her own way in life. The clips also provide explanation to help you identify your child’s attachment style, including avoidant attachment, ambivalent attachement, disorganized attachment and optimal attachment. 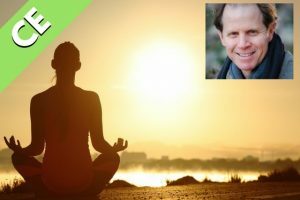 These exclusive video clips are part of a featured interview series with Dr. Dan Siegel, an expert in the theory of Mindsight, a fundamental concept that explores the dynamics of healthy relationships. Idealization of parents you know has an understandable benefit as a child. Because it makes you feel safe in the world, it makes you feel that there’s an entity called “parent” that is perfect and does what it needs to do to keep you feeling good and protected from harm and reliable, you know, so it’s really understandable why kids idealize parents. But the normal course of adolescence, as anyone with adolescents knows, is to bust through that idealization and find your own way towards seeing the truth, which is that your parents are people, they have positive sides and negative sides, they let you down in certain ways and they really held you up in other ways. You know, and embracing that kind of freedom literally liberates the adolescent to find their own way in life. And adolescents who hold on to the idealization of childhood are really hampered. Because they can’t move forward. They often have to constrain their own development in order to maintain the idealization of the parent. They can’t own the certain ways the parent was negative in their life. They can’t own the impact of the negative parts of parenting on themselves. And they also haven’t given themselves the freedom to just say, “Hey, you know, my parent likes chocolate, I like vanilla,” you know, “forget them, I’m going a vanilla way,” or whatever. So they’re constrained even in exploring their own preferences. 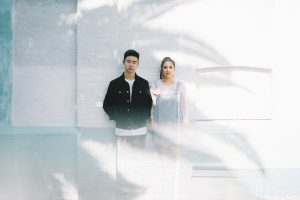 The overall view of attachment that’s so helpful is to realize that when parents have a kind of presence in their own skin, you can call it mindfulness, you can call it being coherent. You can say they have what’s called “mind sight” — they can see their own minds and they can see the minds of others; when parents have this feature of not just reacting to behaviors, but seeing the mind beneath the behavior, the behavior that’s coming from themselves or from others – when the mind is seen that way, when mind sight is present, what studies are really showing is that parents provide the kind of communication that promotes security of attachment. And when kids have security of attachment, they have the ability to regulate their bodies, to attune to other people, to balance their emotions. So, emotions get revved up and you feel life has meaning. They don’t get too revved up so they’re out of control and become, let’s say, violent and they’re not too depleted, where you just feel hopeless and despair and depressed. That’s emotional balance. 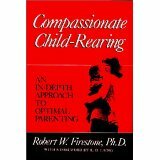 Sign up for PsychAlive’s upcoming eCourse, Compassionate Parenting: A Holistic Approach to Raising Emotionally Healthy Children. This six-wee eCourse will include an exclusive Live Q & A Sessions with Dr. Dan Seigel. In the other attachment situations where parents don’t have that kind of capacity to be very present in their own skin and present in their own relationships, what happens is, children will pick up, in the case of avoidant attachment, a feeling like, “There is no internal intention of my caregiver to know me.” Some children then experience that there’s no one to know and there’s this deep sense of emptiness and what happens is in those children grown into adolescence and then into adults that I work with, what I see is that the way they look at the world is as if the world were only one aspect – the physical aspect, that which is touchable, measurable, weighable – and those people just see reality as purely on the physical plane of existence, physical aspect of reality. So if you have a plane of reality, one side of that plane is physical. Of course the physical world is real. But another side that’s equally real, is the mental side, the subjective internal sea that fills us with feelings and thoughts and hopes and dreams and impulses, desires, longings. In the group of avoidantly attached kids, there’s this amazing blindness to the sea inside, and the way of understanding it through the initial mirror neuron system interaction is that they don’t have any experience that their caregivers saw that world, so that world is not created inside of themselves. Now, people with ambivalent attachment histories, what you see there is, if I’m feeling hungry and my internal state is hunger and I cry out of hunger and you’re my mom and you see that I’m hungry. But you yourself have a very anxious, ambivalent history and you really doubt your capacity as a mom, so you come to me, seeing I’m hungry, really wanting to feed me, but being terrified that you’re not going to be able to do it and nervous and concerned and doubting your ability. And you come with all this anxiety inside of you that I’m just hungry, but now you’re feeling anxious. So my mirror neurons, which probably should be called “sponge neurons” is really what it is. I’m not really going to so much mirror you as sponge in, just soak in your internal state. So I sponge in what’s going on in you, I’m hungry, but now, since you’re feeling anxious, I’m feeling anxious. There’s no reason for me to have your anxiety. But because you have unresolved issues, you have left over garbage, I pick them up. My sense of self then becomes very confused. All I know as a 2 month old, 3 month old, year old kid is I’m hungry. But now, hunger gets neurologically connected to anxiety and uncertainty for no reason except from our interaction. So there’s where the mirror neurons can make my internal sense of self confused in the avoidantly attached kid, it kind of disconnected. In the ambivalently attached kid, it’s confusion. And then with the disorganized-ly attached child, it becomes fragmented. And what this looks like from the mirror neuron point of view is, you come at me really, really angry and you’re terrifying me, not so much from you fear, which could be there, but with your fury. Right? Now I see your intention. You may not want this intention to be there, but it is. Your intention is there to hurt me. And I look at you and my mirror neuron grouping makes the assessment that the intention of this caregiver is to do me harm. Now, that is totally incompatible with my whole evolutionary history as a mammal, of attachment. Where my attachment figure is supposed to protect me, to want good things for me, to provide safety, security for me. All these experiences that I’m evolutionarily engineered to have, you are now violating. Because of your own unresolved trauma or grief is what the research would show. So because you haven’t done the therapeutic work to actually heal yourself, maybe you didn’t have to opportunity, maybe you didn’t even know it was possible, maybe you’re just on automatic pilot, maybe your so mind sight-less that you don’t even know that you can change your own mind, for whatever reasons, it doesn’t make you a bad person. It does make you an unresolved parent. And my mirror neuron system soaks in your intention to harm me. Even though it’s not your global intention, at that moment, you have it. And you can show by microanalysis of video, you know, something like this. Like a parent comes up to a child and goes like that – the teeth snarling there like an animal may last, you know, a quarter of a second or less. You can hardly see it. You get a feeling like, ‘what was that?’ You slow down the video and you see this – like that. And we are, you know, animals, after all. We have these very complex nervous systems and with unresolved trauma, you often see this lack of integration of the nervous system. So what you get is this very rapid, low road thing where theses fight responses that are deeply embedded in the brain stem and limbic areas response get activated. And so the child picks that up like that. Now what’s a child going to do when they’re intentional sponge neurons are soaking in the intention to be harmed by the one who’s supposed to protect? You fragment. And in that fragmentation is dissociation, is dis-association of the usual continuity of the self. We all have multiple selves, but here the multiple selves are fragmented. Most people are doing the best they can. Not everyone. But most people do the best they can. And when you bring that positive regard, then even a parent who is abusive to a child can be understood with empathy and compassion. So that many parents who themselves are providing the terrifying experiences that lead to disorganized attachment, have themselves experienced all sorts of trauma and loss. And if we just look at an example you know, let’s say a child is asserting herself of not wanting to have her father brush her teeth, let’s say. And the father himself was the unfavored child and was beaten as a child when his siblings weren’t and he gets an experience now as a father where the child says, “You’re not going to brush my teeth. Only mommy’s going to brush my teeth.” And he says, “No, I’m going to brush your teeth.” When the child says, “No, no, it’s mommy!” a couple of things are going to start happening. This father’s brain, if it has unresolved trauma, which in this case we’re describing, the implicit memories will become activated. Now, at that moment, he could go down a couple of routes. One is purely reactive, in which he feels humiliated by his own daughter: I should be a competent father, let me brush your teeth. She goes, “No, no, no. You don’t know how to do it!” “I can do it. I can do it.” So that sense of incompetence as a father brings up humiliation that then resonates with the humiliation from his own childhood. So it can trigger that directly like that. The mirror neuron system of the father can also pick up the anger of the daughter, because it goes both ways. So the father’s mirror neurons are soaking in like a sponge the daughter’s anger, “You can’t brush my teeth!” And she’s showing this anger. That’s going to trigger, in a mirror neuron way, his own anger. So now he’s got humiliation, abandonment, betrayal. The daughter gets more and more angry at him for his insisting and maybe he grabs the tooth brush and tries to start, you know, brushing her teeth and maybe she bites his hand and who knows what’s going to happen there? And it can go extremely quickly from a father saying to his daughter, “You need to brush your teeth.” to within 10 seconds a father out of control. And the ‘out of control’ are all these activations of implicit memory, all these mirror neurons soaking in of present emotional resonance with the daughter. 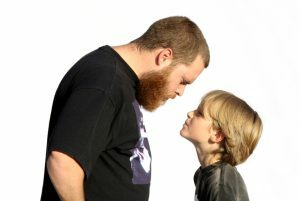 And then because he has a history of disorganized attachment, this father, if he hasn’t worked it through in therapy, he’ll be prone to the low road. Now, once the low road starts to happen, of course, with all this implicit subcortical memory being activated at that moment, all the subcortical resonance of the mirror neuron system happening at that moment, it shuts off prefrontal functioning and what’s going to happen is he is going to be letting loose an evolutionary onslaught of, in one case, if he collapses in hopelessness, he may just start crying and fall down on the floor and scream. He may get fearful and just run away. But even as likely is he’ll get angry and hit his daughter. That he’ll be so enraged at the assault on his sense of self, the cortex is off line, that he will become not only verbally abusive, but potentially emotionally and physically abusive to her. Surely I’m not the first to leave a comment?! Great stuff. Disorganised attachment information in particular interests me and this makes SO much sense. Using the father, child and toothbrush scenario was very powerful. Simple domestic scenario becomes a potential hotbed for catastrophic results for both child and father. I believe if you have secured attachment you’re not particularly interested in this material. Lucky them! So, the question becomes how can the father work on overcoming his feelings of betrayal, humiliation and abandonment so that his limbic and cognitive brain are on the same path? This is THE question. It’s fabulous that Dr. Siegel has shared his brilliant understanding of attachment orders and disorders. Brilliant. What is now needed in the world is brilliant treatment: being able to assist and turn around adults who experienced disorganised attachment, that all too often becomes intergenerational abuse. That is the next part that most therapists are truly struggling with. And I do believe it comes back to the fact that most of them have come from secure attachment backgrounds!